LIFETIME POWER TRAIN WARRANTY ON THIS 2014 FORD ESCAPE TITANIUM ECOBOOST!! PLEASE READ: Take a close look at how clean this 2014 Ford Escape is. Beautiful White exterior with grey Leather inside that still smells new. Nicely equipped with back-up camera, bucket seats, tilt, cruise, keyless remote, and much much more. This Escape drives and handles perfect out on the road and it's just as nimble in and around town. With the 1.6L Eco Boost 4 cylinder you can expect great fuel mileage as well as responsive acceleration when you need it. ONE OWNER, Clean Carfax with no issues so you can buy with complete and total confidence. We offer Credit Union and Bank Financing with LOW LOW RATES. 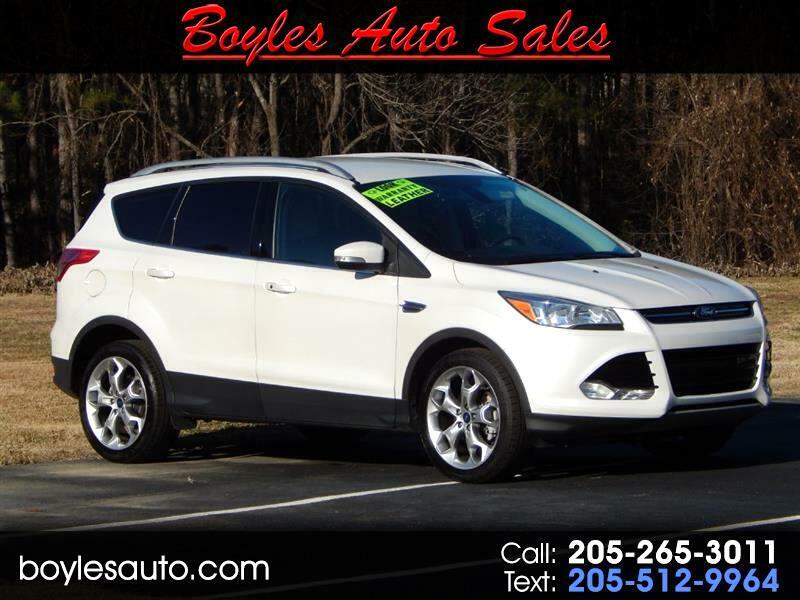 Go to boylesauto.com to fill out an online credit application for easy financing, or make the Short Drive to Boyles Auto Sales and take this 2015 Ford Escape SE for a spin, You'll be Impressed. BEST OF ALL THIS 2015 ESCAPE SE COMES WITH A FREE..YES FREE.. LIFETIME POWER TRAIN WARRANTY, that will cover the Engine, Transmission, and Drive Train for as Long As You Own it and Unlimited Miles. Call Randy or Tucker at 205 265 3011, or 205 269 3196. Thank You for looking.